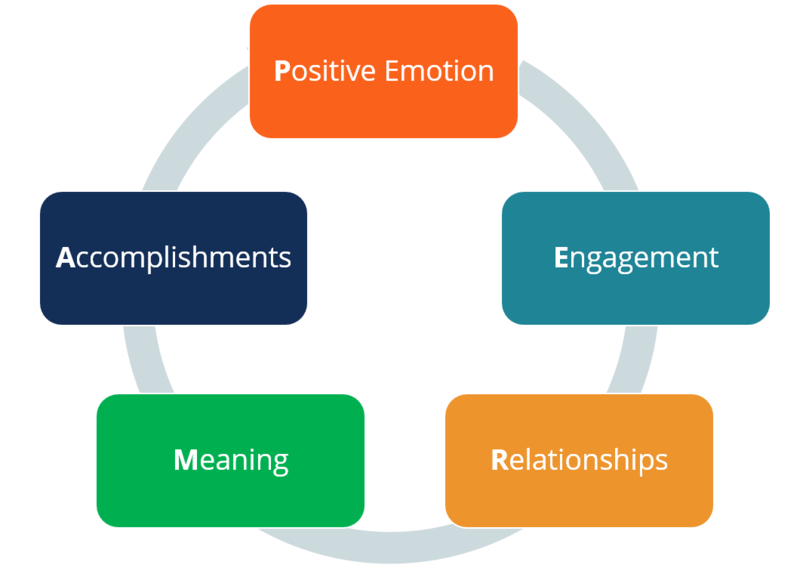 The PERMA Model represents the five core elements of happiness and well-being. PERMA basically stands for Positive Emotion, Engagement, Relationships, Meaning, and Accomplishments. American psychologist and educator Martin Seligman designed the PERMA Model. As a psychology practitioner, Seligman understands how natural it is for individuals to continuously seek for what makes them happy, regardless of their ageDemographicsDemographics refer to the socio-economic characteristics of a population that businesses use to identify the product preferences and purchasing behaviors of, orientation, and status in life. According to Seligman’s research, he believes that the PERMA Model’s five core elements are what people need in order to achieve a healthy sense of well-being, fulfillmentSense of Purpose at WorkFind your sense of purpose at work. Whether you enjoy your job or not often comes down to how well it supports your sense of purpose. Where you work, the role you hold, and your broader sense of your purpose are subject to change, therefore, if you want to have a balance between these three, you must be open to change, and satisfaction in life that can lead to finding life’s true meaning. Positive emotion is about feeling good and is obviously the most direct path to being happy. When one feels good, one feels positive. However, such positive emotion doesn’t just stop at someone flashing a great smile because that is something anyone can do or, sadly, fake. Positive emotion goes beyond that and may even involve acceptance of the past regardless of how bad it was and anticipating positively what the future holds. However, such emotion does not necessarily mean that the person should be happy 100% of the time because that is impossible. But trying to achieve a positive emotion greatly affects many other aspects of life, such as the other elements found in the PERMA model. The words pleasure and enjoyment are easily associated with happiness but are mistakenly understood to be equal and the same. Pleasure, according to the model, refers to one’s physical needs being satisfied such as food, shelter, water, clothing, and safety. Enjoyment, on the other hand, is the satisfaction and fulfillment derived from doing something such as painting, cross-stitching, or exploring a car’s engine. When enjoyment is achieved, happiness tags along, too. The second element in the PERMA Model is Engagement, which refers to something that an individual can get engrossed with or absorbed in. Almost everybody has experienced getting lost in a book or living in “one’s own world” because of something so engaging. It is actually a very positive thing for a person’s intelligence, emotions, and skills, which is why a child who is busy putting together different Lego parts or piling blocks should be allowed to do so and let be. Doing something that engages an individual also brings happiness even if it has nothing to do at all with one’s work or if it is deemed by others as silly. For example, a woman in her mid-30’s who loves to play the violin can do so, and while engaged in doing it can momentarily leave the present and live in the music. Relationships are the third element of happiness and well-being, according to the PERMA model. As human beings, it is our natural desire to want to be connected and be part of a group such as a clique, school organization, or a circle. We were wired to not just want but need love, affection, attention, and interaction. It is why people need to create relationships with family, co-workers, friends, and peers, because it is from these groups that we are able to receive emotional support when things get rough. A simple yet clear example of the need for belongingness and interaction is when high school girls go together to the comfort room even if only one actually needs to use it. Many people wonder why many celebrities who live in multi-million-dollar mansions and go on monthly vacations to the Maldives and the Caribbean end up taking their own lives. What they do not understand is that there is so much more to life than just money and material possessions. Above it all, what makes a person want to live is the meaning they find in their lives. Parents with young children understand how important they are in their children’s lives and so they work hard to provide for their families. A beautiful lady, though unmarried, is happy because she takes care of her aging parents. These things are worth more than any amount of money and meaning keeps people happy and persistent. Finally, the fifth PERMA model element is accomplishments. We all take pride in something we’ve done or accomplished. It is these accomplishments that strengthen our self-esteem and our confidence that we are worth something. When we achieve something, we feel good and want to do more and become more. It can be seen even in very young children. For instance, a little girl learns to use the spoon and fork when eating and when she knows how proud her mother is upon learning this, the child continues to use her spoon and fork. She also seeks new things to learn that are more challenging than what she can already do, such as pouring water into her glass or putting her toys back in the cupboard. In short, these accomplishments drive individuals to achieve more and make them feel good. How can the PERMA Model be Used in the Workplace? The workplace is where we spend a big part of our day, working with people who are not related to us in ways other than being colleagues. It is true that the level of happiness experienced by each worker, as well as the atmosphere of a workplaceManagement TheoriesManagement theories are concepts surrounding recommended management strategies, which may include tools such as frameworks and guidelines that can be implemented in modern organizations. Generally, professionals will not rely solely on one management theory alone, greatly and directly affect an organization’s productiveness. Therefore, the PERMA Model is one thing that should be applied in the workplaceManagement TheoriesManagement theories are concepts surrounding recommended management strategies, which may include tools such as frameworks and guidelines that can be implemented in modern organizations. Generally, professionals will not rely solely on one management theory alone to foster a positive work environment that will eventually result in a happy and productive workforce. Positive emotions can be created by simply congratulating a colleague who has achieved something at work. It can also be as simple as dropping a note of thanks with a bar of chocolate to another employee who did a favor by covering a shift. The workplace doesn’t need to always solidly feel like a place where things need to get done. If offices now have pumping rooms for breastfeeding employees, why not put an “engagement room” in where there is a small piano, book corner, or several sketchbooks and canvasses to let workers take a break and do something engaging? This way, workers can recharge and reset their ‘buttons’ to be more efficient. Belongingness is an important key to a productive workplace. However, belonging to a team or a small circle isn’t the only way to do it. Conducting team building is one of the HR Department’s best tools for fostering healthy relationships within the office. Relationships can be built at any time of the day by things such as inviting one or two officemates to lunch. An organization shouldn’t only be productive, but it should also be meaningful to the society where it functions. In fact, a lot of companies already devote a lot more time and finances into their corporate responsibility. Let’s take as an example Walt Disney English, which is an English Learning Centre in China that is under the company’s publishing sector. As it deals with kids, its Voluntears Program chooses an orphanage or school for special children as its recipient for fundraising. Employees visit the chosen school and bring Mickey Mouse dolls for every kid, apart from the monetary donation to the school. Accomplishments exert a bigger impact if they are acknowledged by the “higher-ups.” Normally, companies hold a gala night each year where citations are given to exemplary employees. But why wait for the once-a-year event when companies can recognize their employees on a regular basis without being too extravagant? A Kudos wall is simple, yet the impact it creates on the person whose name is up on that wall for a job well-done can be immense.